So last winter we had several big wind storms. 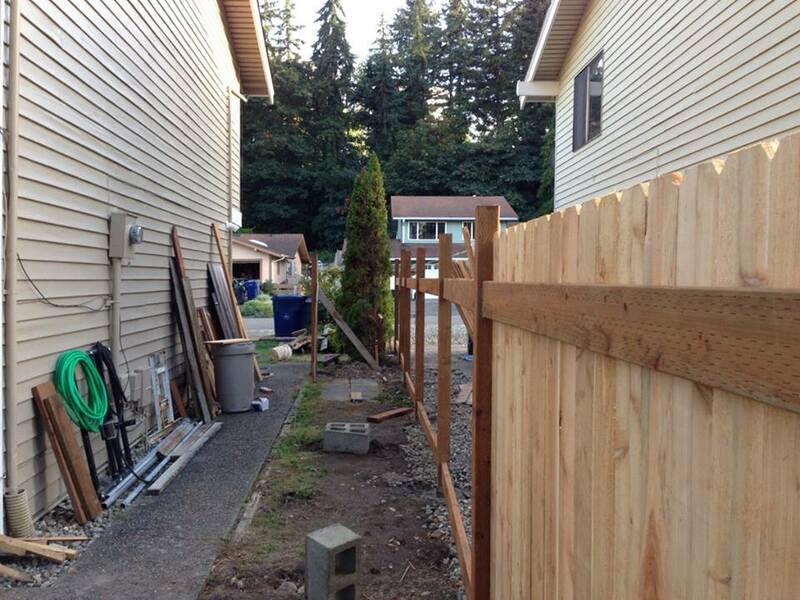 After one particular wind storm, we woke up to a large noise and the next morning we discovered half of our fence was no longer standing. 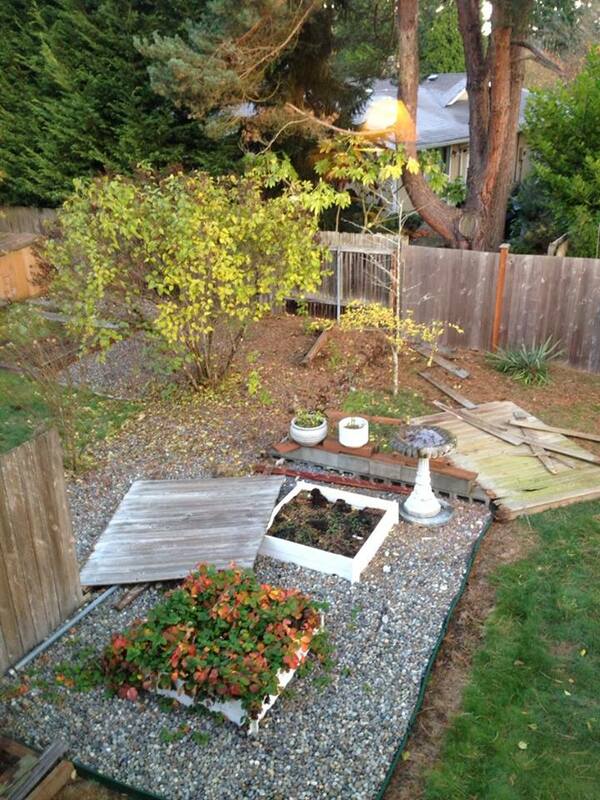 As with all my fence problems, I knew it was coming, but I couldn’t motive the neighbor into replacing it, until it fell over. (Why people?) Actually in looking at that picture, it might have been taken after I pulled the far back panel down, I think there were only two fence posts that gave out. 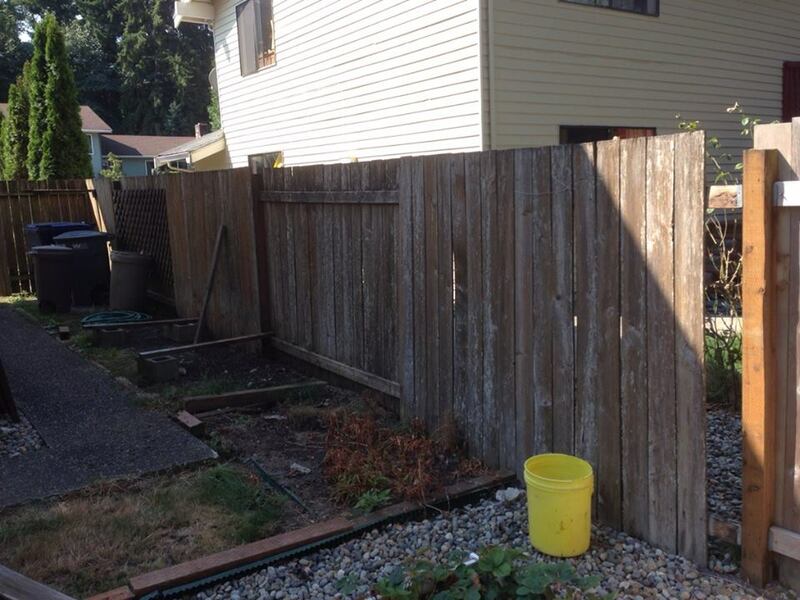 So I ended up replacing the back section of fence right away, I was quickly tired of the neighbors dog using our backyard as a toilet. I even manage to get the neighbors to pay for half of it. 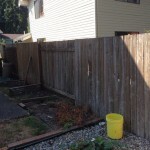 (After all, I did all the work) I also decided that there had to be a way to remove the old fence posts which were set in concrete. Trying to go around them didn’t work so well. 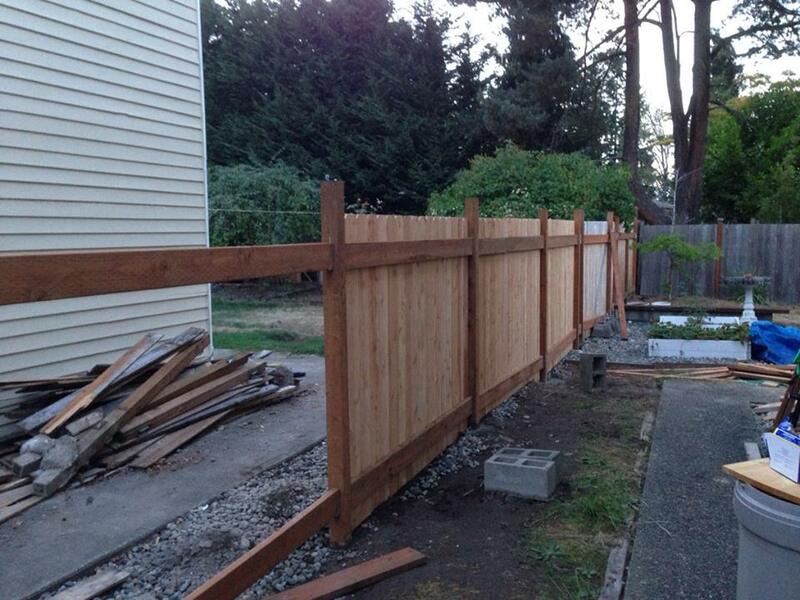 So about a month ago, I started removing the rest of the fence. It was in pretty sad shape and the pickets came down with about a days worth of work. 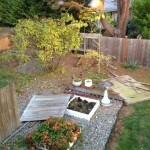 The following day I tried removing the old fence posts using this jig I built and a farm jack. The idea is you drill two holes in the post, attach the jib with six inch bolts and then ‘jack’ the post and concrete plug out of the hole. I had to remove nine posts, three came out like I expected and the remaining six had issues. On three of them, the post came right out of the concrete and I was left with a perfect 4×4 hole. The post on the remaining three disintegrated above the concrete plug. In the end we had to dig out the concrete plugs. 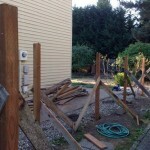 This should teach me to replace the fence before the posts are completely gone. 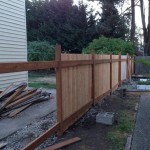 So over the coarse of the next four weeks, I rebuilt the fence. This time around my neighbor actually helped quite a bit. 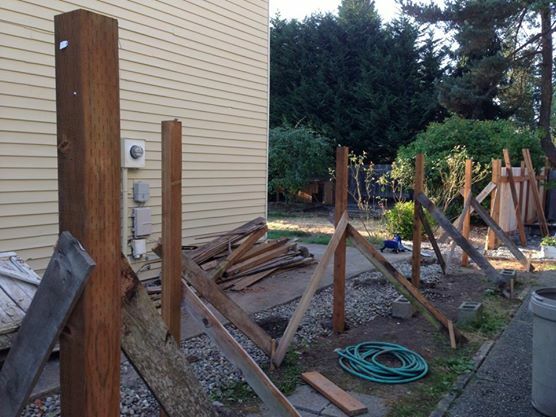 He dug out four of the posts and he ended up hanging about 2/3 of the pickets. I did all the concrete and framing work. 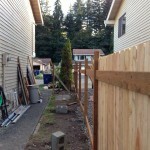 Last weekend I finally finished the gate and little stub fence that is on my side. I noticed he still hasn’t started on the gate for his side, but there isn’t much I can do about that. I also have to go get the fancy caps for the fence posts and cut them all down to the same height. 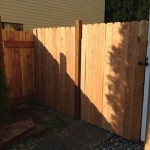 Posted in Home Improvement | Comments Off on New Fence….